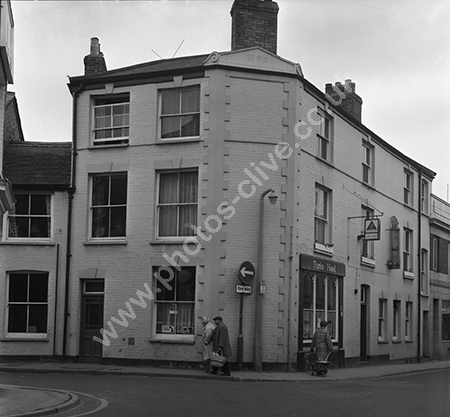 Turks Head Pub, James Street, Taunton, Somerset around 1973-4 when owned by Bass Charrington who had acquired it from Brutton's Beers. In 2016 and 2019 it was reported as a closed pub. For commercial use of this photo, including use on another website, please visit Alamy.com and search for M3N9G5. For a one-off print please see below.